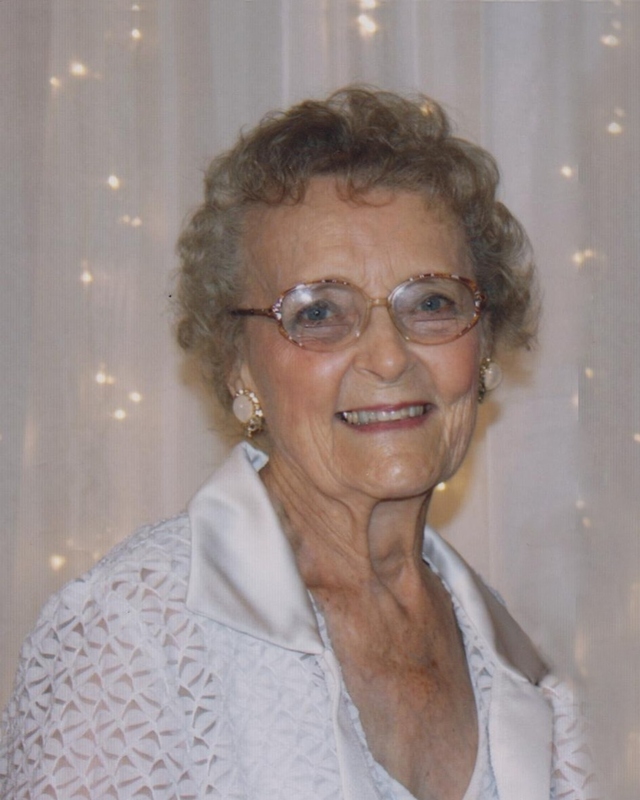 Elizabeth Louise Costa entered into eternal life on Saturday, February 2, 2019, at the age of 89 surrounded by her beloved family. She always said when she died she wasn’t leaving home, she was going home. Liz was born in Minneapolis, Minnesota on August 27, 1929 and moved to Tracy at the age of 6. She attended Jefferson and Banta schools and finished her grammar school education in the small one room schoolhouse in Midway. She graduated from Tracy high in 1947. She worked as a telephone operator in Tracy until she married the love of her life Nelson Costa and went to live on his dairy farm in Banta. Together they had six children who were the treasure of her life. She became a catholic when she moved and was a devoted St. Bernard‘s Church parishioner. She served as a Eucharistic Minister, a member of the Ministry of Caring and a Sacristan at Saturday 5:00 pm Mass. She was active in Banta 4-H, a leader for 19 years, spending her summer at the county fair with her children, showing their sewing, baking, canning, woodworking and their sheep, swine and beef in the Livestock Auction. She was always busy, sewing all her children’s clothes, canning and freezing hundreds of jars of fruit and jam every summer. Her greatest joy was baking, making wedding cakes and decorating birthday cakes for her family and friends, pies for everyone’s birthday, and cookies by the thousands for every occasion. She enjoyed working in her flower garden, and faithfully attended all her children and grandchildren‘s ball games and other activities. The consuming joy of her life was her camera and taking pictures of every occasion, prompting her kids to call her “Grandma Kodak”. She made yearly albums for all her kids and grandkids. In her later years, Liz was blessed with an angel named Butch who cared for her, came weekly and did her yard work, lawn care, orchard care and all the other necessities she needed. She was always so eternally grateful to him and his weekly coffee visits. She leaves behind her loving children Elaine Bogetti (Tim) of Tracy; Nelson Costa, Jr (Donna) of Oregon; Tommy Costa (Donna) of Stockton; Cindy Hayes (Buddy) of Tracy; and John Costa (Mary) of Ripon. Ten treasured grandchild, Tammy Bogetti, T.J. Bogetti, Rick Costa, Jason Costa, Michael Costa, Rod Previtali, Denise Kleinert, Heather Marchini, Jeff Costa and Sheila Hillard. She was also blessed with 16 great grandchildren and many nieces and nephews. She is also survived by her brother Don Derby of French Camp. Mother and father-in-law John and Rita Costa; sisters Hazel Derby and Alice Mae Newman; Brother Edward Derby, Earl Derby; brothers-in-law Johnny L. Costa, Tony Costa, Frank Simas, Walt Allens and Gordon Newman; and sisters-in-law Lena Simas and Lois Derby. Liz was a member of the St. Bernard’s Church and Lady of Fatima Society. A Vigil will be held in her honor at 7:00 pm on Tuesday, February 12, 2019 at Fry Memorial Chapel, 550 South Central Avenue, with visitation beginning at 2:00 pm. A Mass of Christian Burial will follow at 11:00 am on Wednesday, February 13, 2019 at St. Bernard‘s Catholic Church, 163 West Eaton Avenue. She will be laid to rest at Tracy Public Cemetery. Memorial contributions can be made in Ms. Costa’s name to the St. Bernard’s Building Fund or St. Bernard’s Ministry of Caring. An online guestbook is available for condolences at www.frymemorialchapel.com for condolences and special messages to the family.